If you’ve seen warning lights showing up on the dashboard and you’re not sure what to do, we’re here to help! Why do we have them and why won’t they go out sometimes? These warning lights are operated by micro processors called an E.C.U. (Electronic Control Unit). The ECUs not only operate the systems but they constantly monitor the various sensors and actuators, checking their input and output signals. If one of these signals is outside the normal operating perimeters, the ECU will switch on the warning and light and set what is known as a “Fault Code”. As repairers, how do we know what fault code has been set? To assist us in diagnosing the fault in your vehicle we use a scanner which we plug into the diagnostic plug on your vehicle and check the fault codes stored. Some of these systems can have in excess of 100 different codes that can be set depending on the fault in your vehicle. Once we have the code, it gives us a starting place to diagnose the fault in whichever system we are looking at – engine, brakes, transmission etc. The usual procedure after we have repaired the fault is to erase the code, road test the vehicle and recheck the ECU for codes. We will record the code for future reference. What should you do if a light on your dashboard stays on? Please contact us so we can tell you if it is something that should be actioned immediately and inform you whether it is safe to drive your vehicle. Any warning light appearing on your dashboard, whether it remains on or comes on intermittently should never be ignored. Under most circumstances it will leave a fault code which we can scan to start our diagnosis. 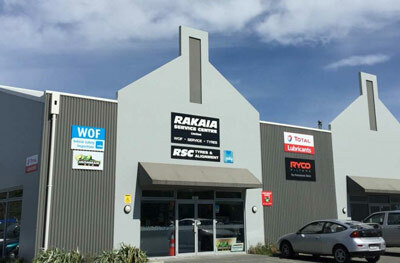 We've been a part of the Rakaia community for a long time now and everyone pretty much knows us. But if you need a refresher, head over to our Team page! Sometimes you know something's wrong with your car - you just don't know what. 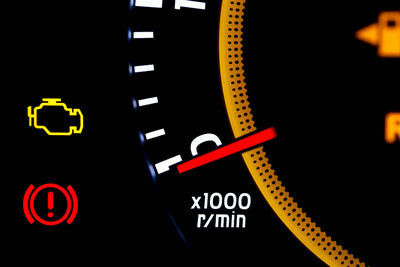 Learn about the lights on your dashboard and how we diagnose problems. We offer a range of services, from WOFs to a full service. 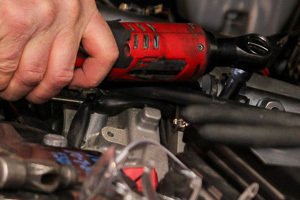 We have a fully qualified team of experienced mechanics and the know-how to get your car troubles sorted. Book your next service online. Just fill in the form and we'll take care of the rest. Tell us some details about what you need and we'll be in touch to confirm a day and time.